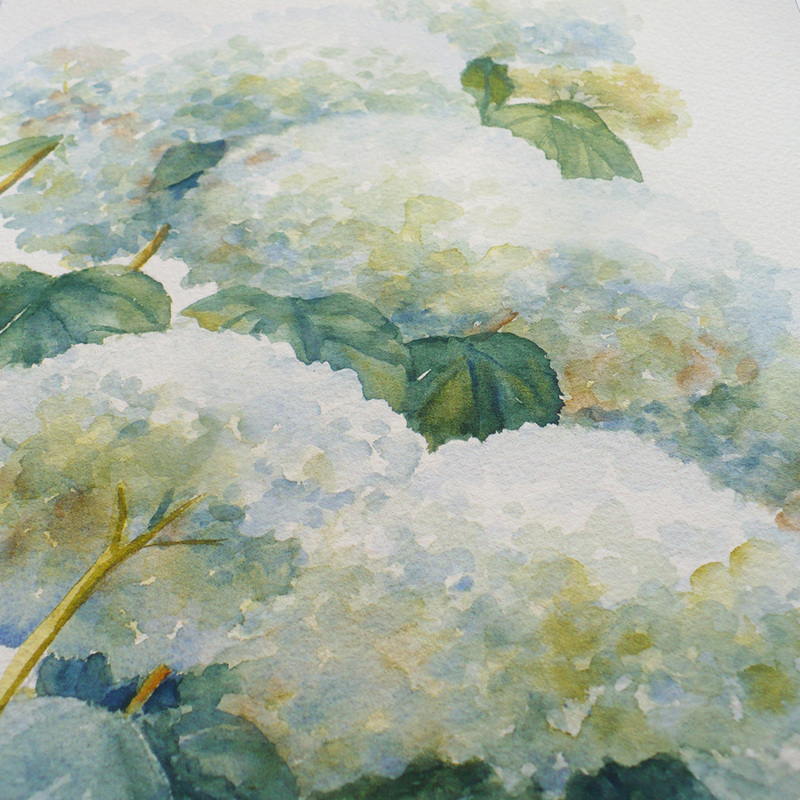 A cascade of white blooms! 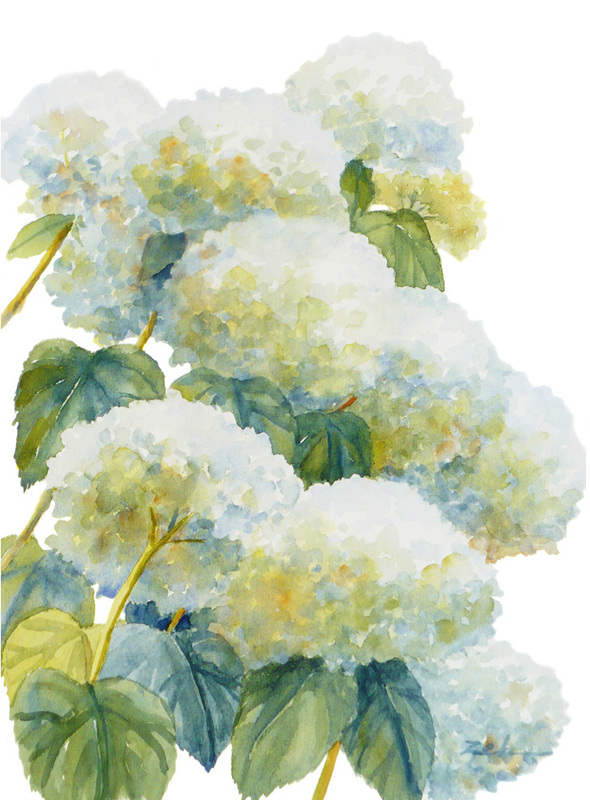 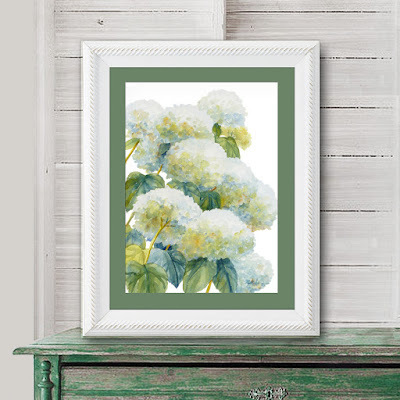 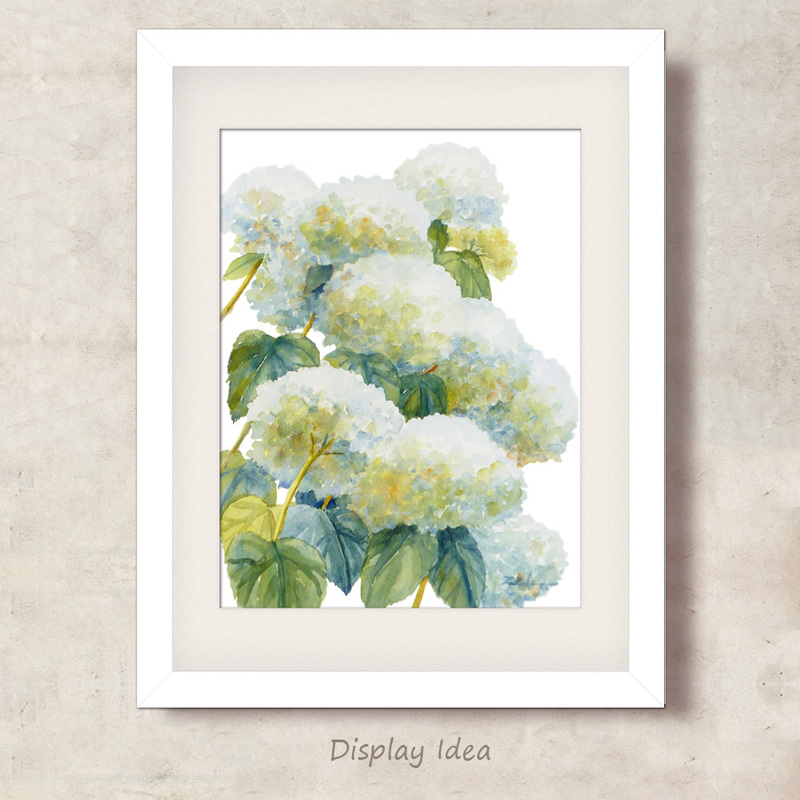 Eleven hydrangea blossoms in soft white, gold, blue and green are inspired by the flowers in my garden. 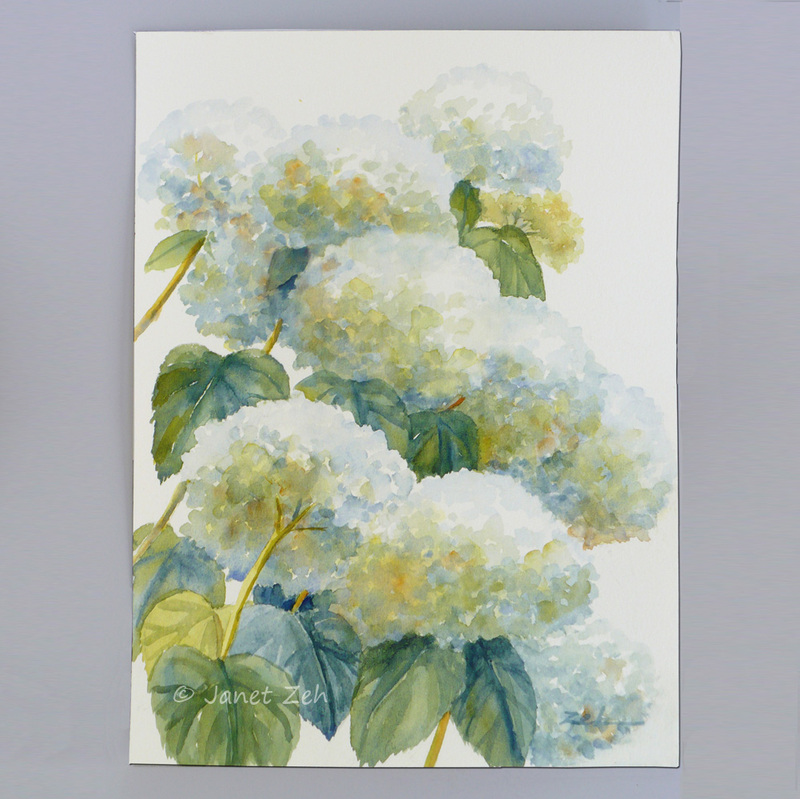 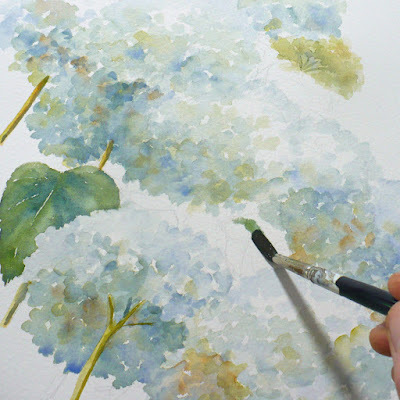 This painting is number 22 in a series of hydrangea watercolors.